The rock formation was spotted by the High Resolution Imaging Science Experiment (HiRISE) instrument installed aboard NASA’s Mars Reconnaissance Orbiter, which is currently orbiting the red planet. 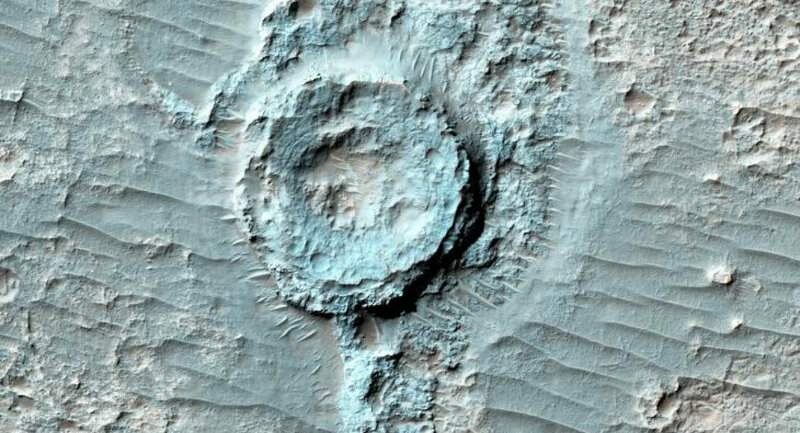 Scientists speculate that the circular feature in question was originally an ordinary impact crater that was later filled in with sediment. The fill eventually hardened and became more resistant to erosion than the surrounding material, thus resulting in the creation of this inverted formation. Since other craters seen on the image do not appear infilled or inverted, scientists believe that they were formed after the events that led to the creation of their inverted counterpart. 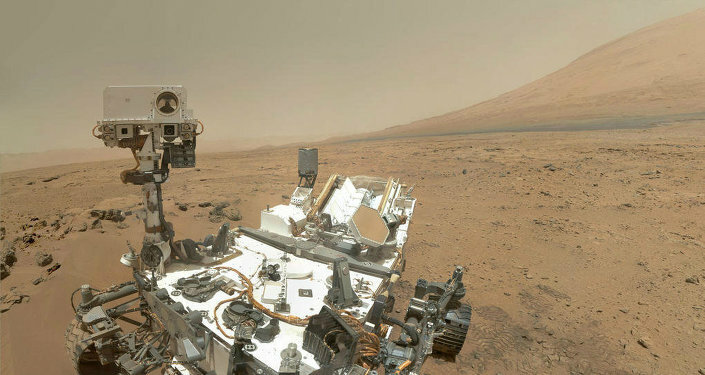 As of this moment, there are currently five orbital spacecraft engaged in the observation of Mars; two US rovers – Opportunity and Curiosity – are roaming the planet’s surface.